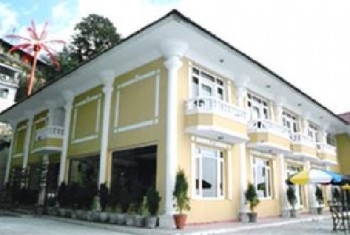 Hotel Starz Regency is a 1 star deluxe hotel in Mussoorie offering a budget stay in Mussoorie at a convenient location. Commanding views of mountains, best room service, delicious food and spacious rooms makes this 1 star property a best option for a family or business stay in the town. As located near the Picture Palace bus stand, the hotel provides easy accessibility to major tourist places in Mussoorie . Each room has elegance and beauty in its design with a relaxing ambience. Hotel Starz Regency is conveniently located near the major landmark Picture Palace bus stand. Famous Mall Road is 5 min walking distance from the hotel. Nearest railway station is at 32 kms in Dehradun and the Jolly Grant Airport is at 55 kms away from Starz Regency. Hotel Starz Regency provides 33 well decorated and furnished rooms with all modern amenities and facilities such as TV, attach bathroom, hot & cold water etc. There are several styles and decor rooms matching every mood of the guests. Modern, Ancient, Chinese and Indian are the categories of rooms available in the hotel. The hotel offers ahealthy and delicious meal to its guests at its multi cuisine restaurant with an option of room service or on terrace viewing magnificent Himalayan views. - 2 Children before the age of 5 years free. - Season : 15th April to 15th August. 20th Dec to 2nd Jan.